Some of the confusion stems from President Donald Trump and Congress. Trump dismantled parts of the law after the House and Senate failed to pass a promised repeal. Republicans long have campaigned against the ACA reasoning that government should not intrude in private industry, while Democrats have rallied to keep the plan wholly intact as the way to provide all Americans with access to health care. Another way Trump has modified the ACA is with an executive order to allow health insurers to sell health plans to small employers who have banded together to form an association. These association plans are less expensive, but have fewer benefits than ACA-compliant plans. Last October, the Trump administration also stopped paying cost-sharing subsidies to insurance companies. Insurance companies used these funds to cover expenses from lower deductibles and out-of-pocket costs mandated under the law for individuals with low incomes. 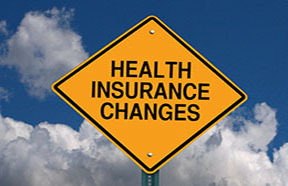 Another significant change was Congress eliminating the individual mandate which required most Americans to have health insurance or pay a penalty. That change will be effective in 2019. Despite the changes, many ACA rules and regulations are still in effect. Here is a list of some of the important actions employers must do to manage their 2018 benefits compliance efforts. Employers who have 50 or more full-time or full-time equivalent employees must provide a "minimum essential coverage" health care plan that is affordable and meets minimum value requirements. These requirements are known as the "employer shared responsibility" or "play or pay" provisions. If an applicable large employer (ALE) does not offer this type of coverage, they may be subject to penalties. Even if you have fewer than 50 full-time employees, it will be worth your time to double check your ALE status at www.irs.gov and search "ALE information." Minimum Value: An employer-sponsored plan is one that provides "minimum value" when it covers certain types of medical expenses and pays at least 60 percent of employees' health care costs. Affordability: The health coverage you provide is considered affordable if an employee's required contribution to the plan doesn't exceed 9.5 percent of the employee's household income for the taxable year. The 2018 adjusted percentage is 9.56 percent. This can be difficult to determine since you're unlikely to know your employees' household incomes. Therefore, to make the affordability determination, you can use Form W-2 wages; an employee's rate of pay; or the federal poverty line instead of household income. If you are an ALE you must complete and submit Form 1094-C to the Internal Revenue Service (IRS) and Form 1095-C to the IRS and your employees. These forms will not be due until the beginning of 2019. The federal government uses the forms to determine whether employers are providing the minimum essential coverage to employees. Summary of Benefits and Coverage (SBC):The SBC is a document you give to employees when they enroll in your group health benefit plan. The SBC explains the employee's benefits and coverage in plain language. You also must provide it on request. For health plans with open enrollment periods or plan years beginning on or after April 1, 2017, make sure you use the template that was issued on April 16, 2016. Marketplace (Exchange) Notice: You must notify new employees within 14 days that they can purchase coverage on the Marketplace. Patient Protection Notice: Provide this notice at enrollment and include it in the SBC if you have a non-grandfathered plan. W-2 Reporting of Health Coverage: You must report the aggregate cost of health coverage on Forms W-2 — unless you filed fewer than 250 W-2s the prior year. Medical Loss Ratio Rebates: You must notify plan participants if you received rebates from insurers because they collected too much in premiums. You may be responsible for sharing a portion with your employees if the refund is considered a plan asset. Patient Centered Research Institute Fee: This fee must be paid to the IRS through 2019. For policy and plan years ending after Sept. 30, 2016, and before Oct. 1, 2017, the applicable dollar amount is $2.26. For policy and plan years ending after Sept. 30, 2017, and before Oct. 1, 2018, the applicable dollar amount is $2.39. This is not a complete list and it does not include each state's specific insurance regulations. For more information about compliance and other issues related to ACA, please contact us.